KAMPALA – Despite being less than two weeks old, Uganda’s social media tax is already being reviewed. Uganda’s recently imposed social media tax is becoming an increasingly controversial issue, as parliament revisits the topic, while taxpayers are threatening to protest. 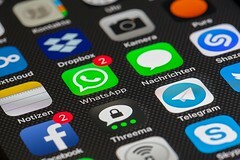 As of July 1st, mobile users in Uganda are required to pay a tax of UGX 200 per day in order to access social media and communication services, such as Facebook, WhatsApp, and Skype. The tax is understood to be intended to help cover some of Uganda’s debts, and it is also a social issue, as the country’s president Yoweri Museveni that social media is used to “encourage gossip”. It has now been announced that on July 11th, the country’s parliament will revisit the issue of the tax.